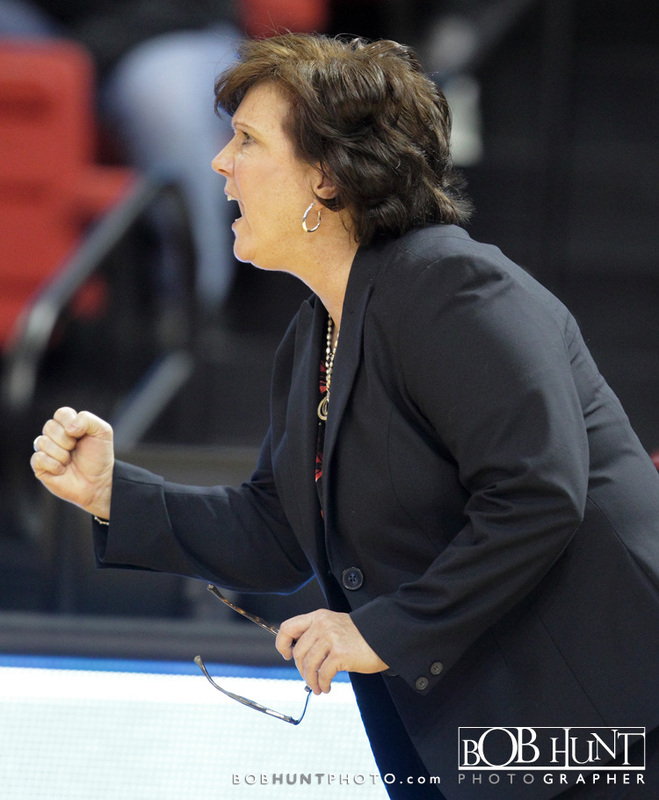 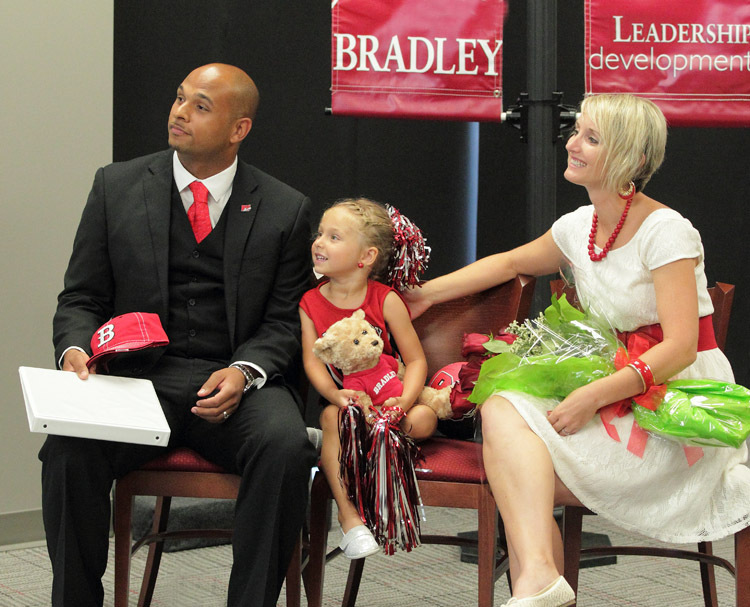 The newest head coach in Bradley University women’s basketball history already has helped the program make history. 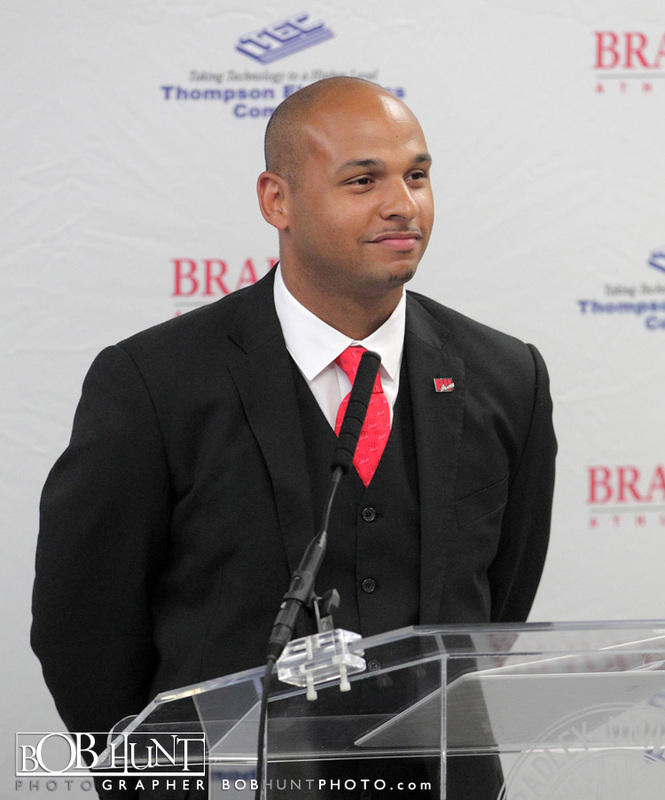 Michael Brooks a member of the Braves’ staff for the program’s first two postseason tournament appearances, has been named Bradley’s eighth women’s basketball head coach, according to an announcement Friday afternoon by Director of Athletics Dr. Michael Cross. 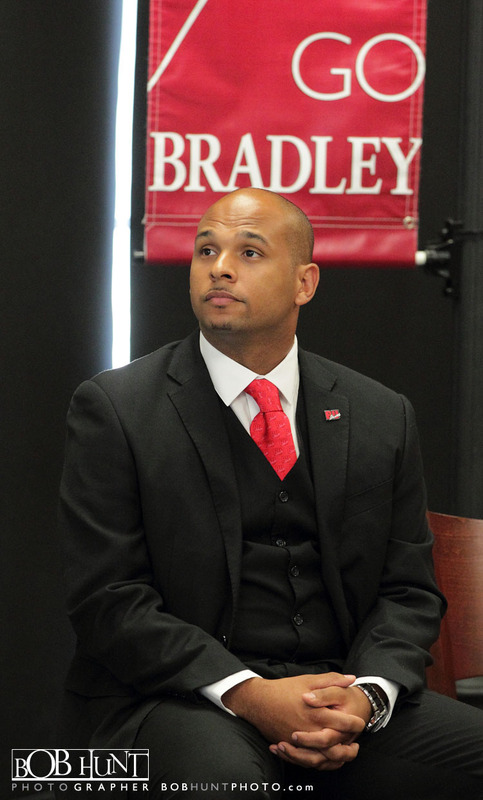 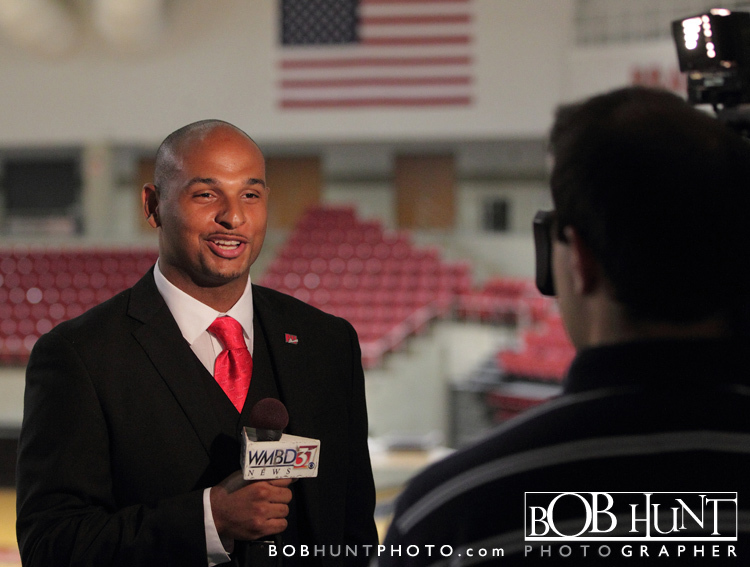 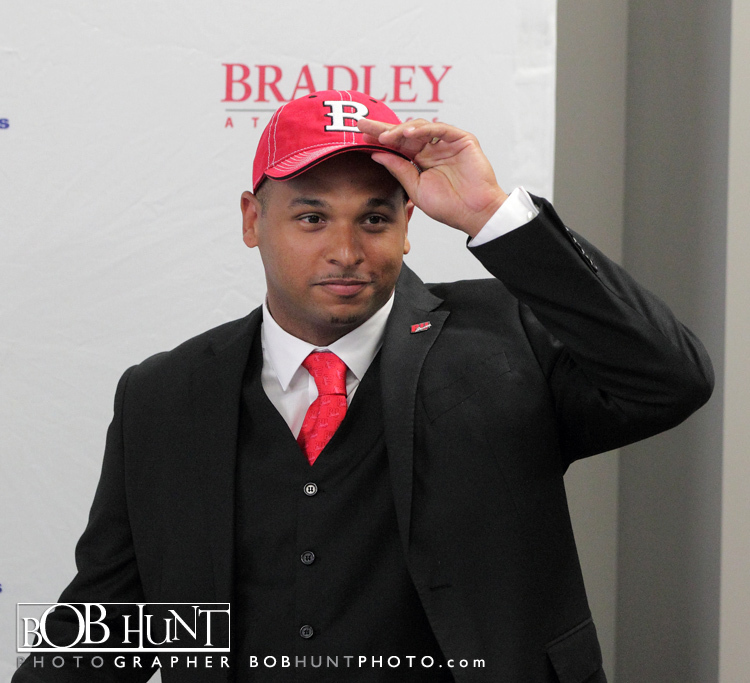 “The fact that Michael Brooks has been involved in the first two postseason appearances in Bradley women’s basketball history is no accident,” said Cross. 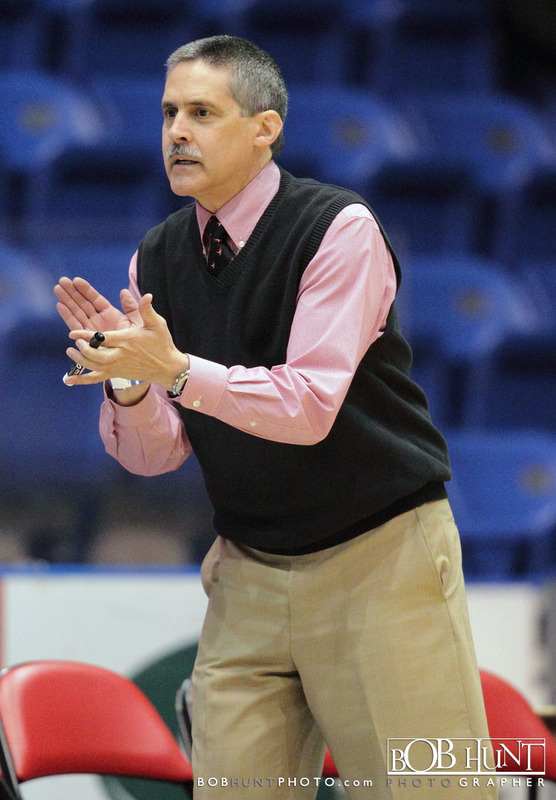 “He has strong knowledge of the game, is an excellent judge of talent, is a strong communicator and has the respect of his student-athletes. 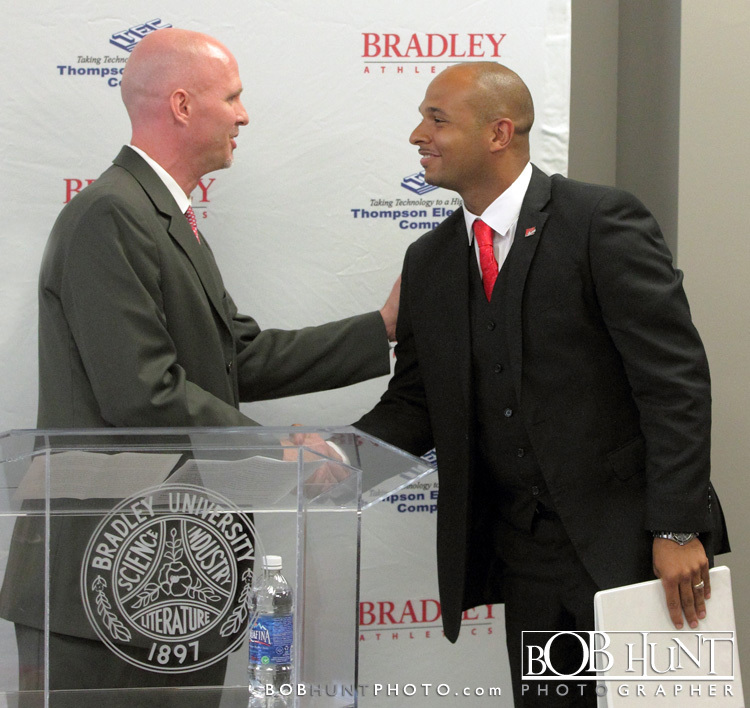 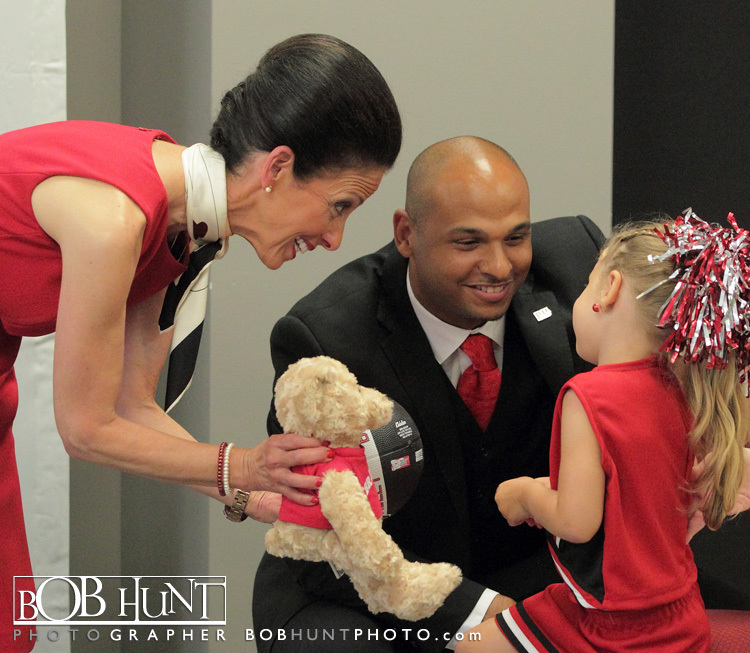 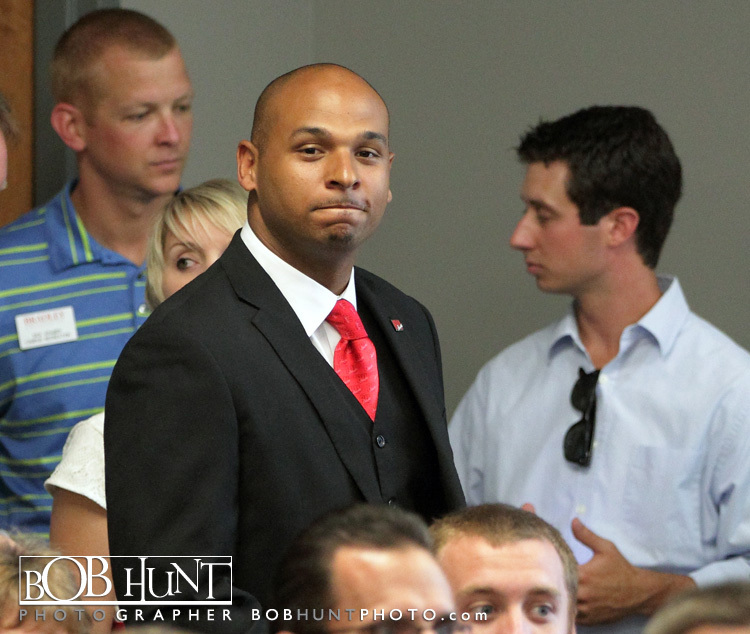 He is a caring individual who is committed to upholding the mission and values of the Department of Athletics. 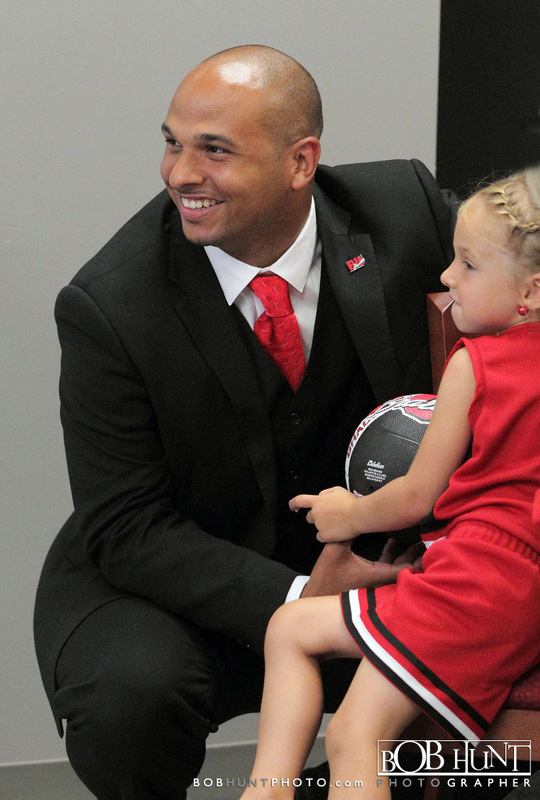 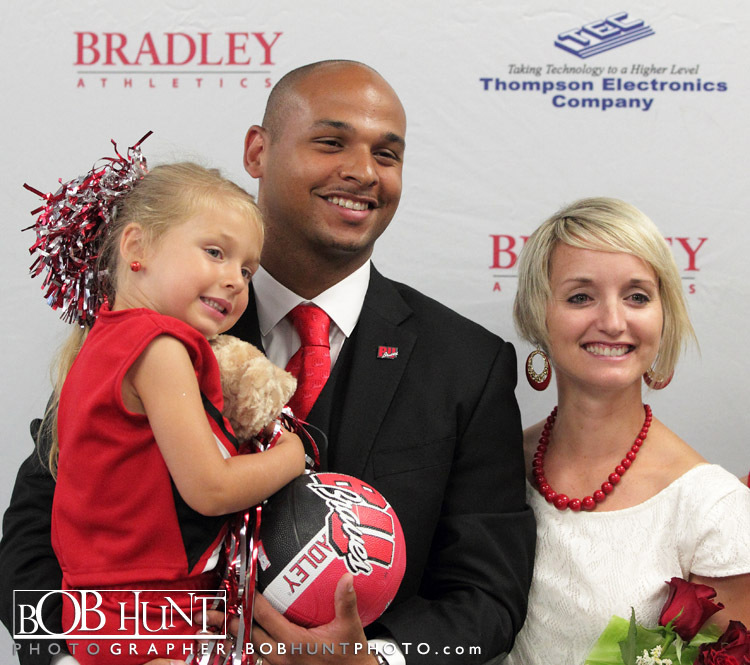 I’m looking forward to working with him to build upon our recent success to even greater heights.” A native of Omaha, Neb., Brooks is married to the former Andi Sutherland, who was an assistant coach with the Braves during the 2004-05 season and served as the Director of Basketball Operations in 2003-04. 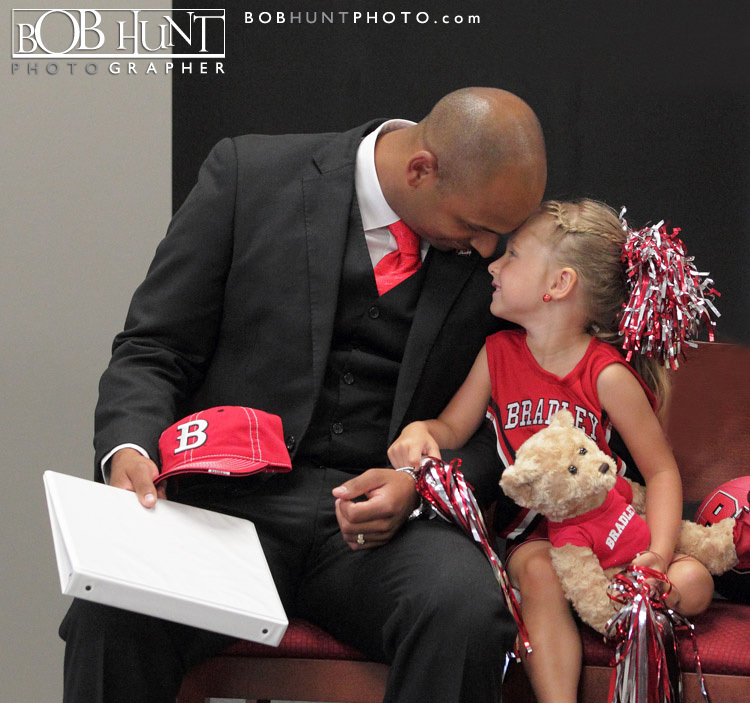 The couple has a four-year old daughter: Britain. 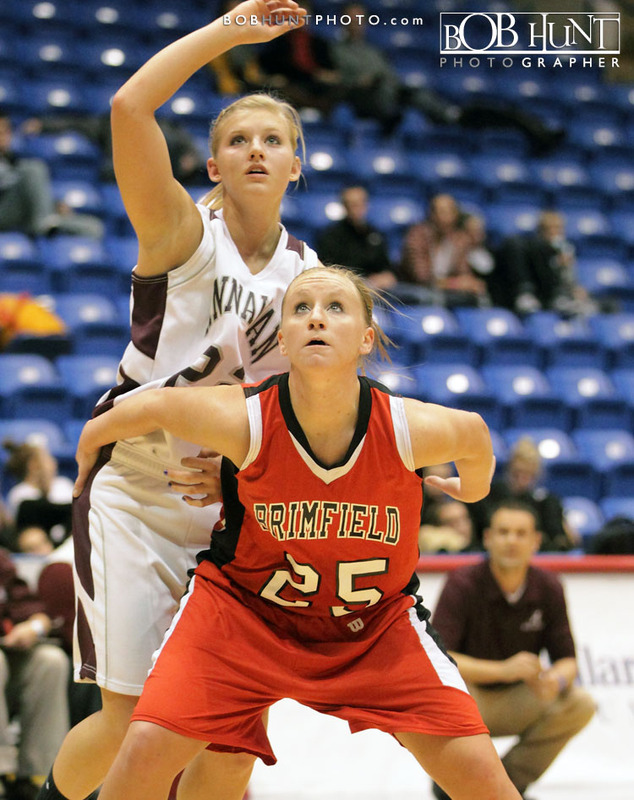 The Annawan Lady Bravettes defeated Brimfield High School 61-51 in a opening round game of the State Farm Holiday Classic basketball tournament at U.S. Cellular Coliseum. 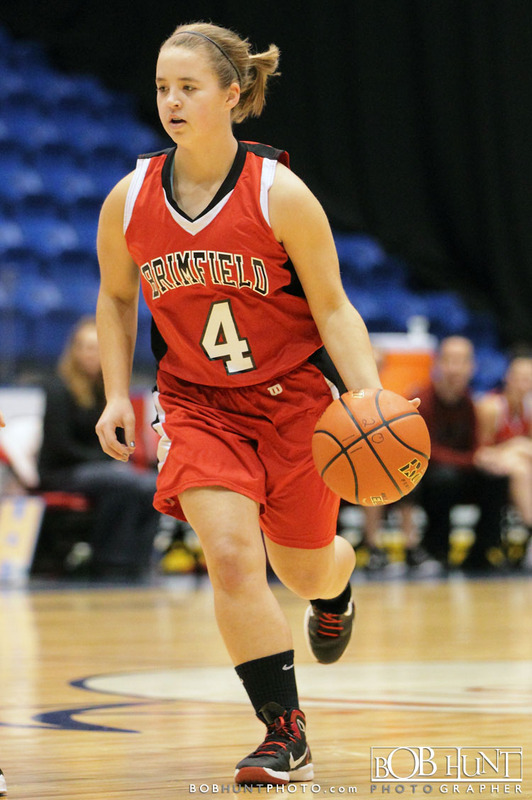 Center Celina Vanhyfte led Annawan in scoring with 21 points as they advance to the winners bracket against El Paso Gridley on Wednesday. 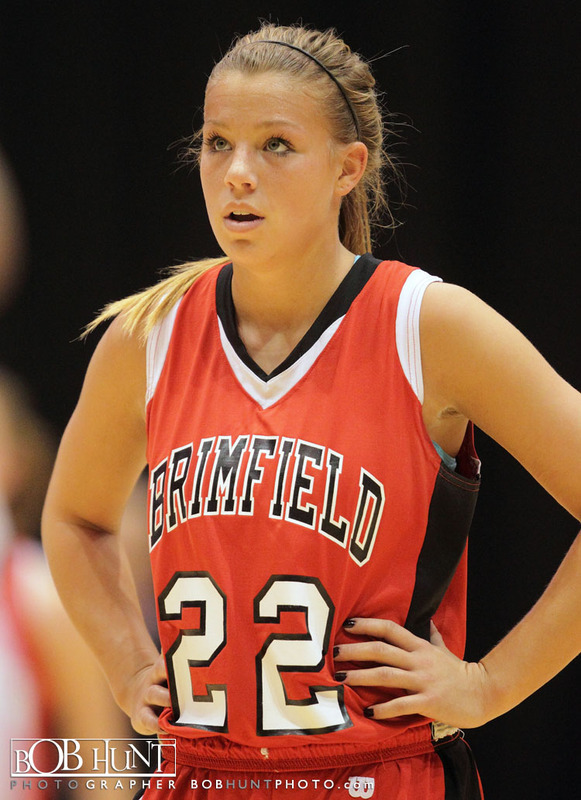 Brimfield guard, Dura Kerrigan scored 20 points in a losing effort, and play Camp Pt. 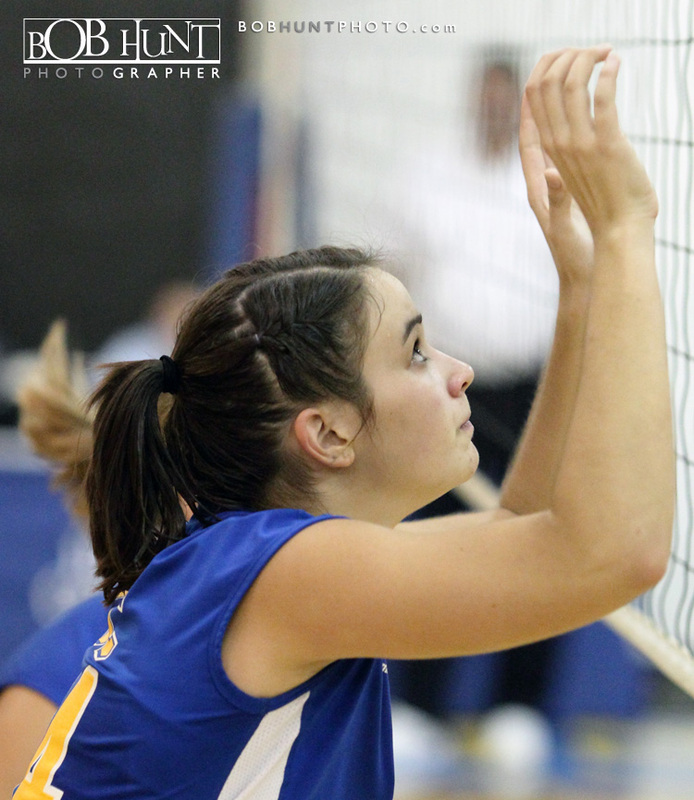 Central/Southeastern in second round action at NCHS. 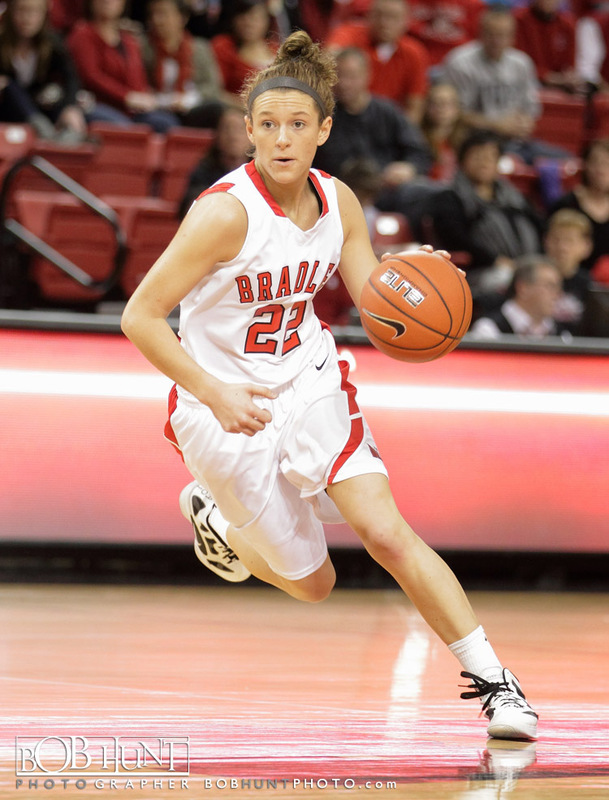 Bradley University sophomore guard Kelsey Budd made 5-of-6 three-point attempts and paced five team mates in double figures with a career-best 31 points to help the Braves top visiting Iowa 96-88 Saturday at Renaissance Coliseum before 1,506 fans. 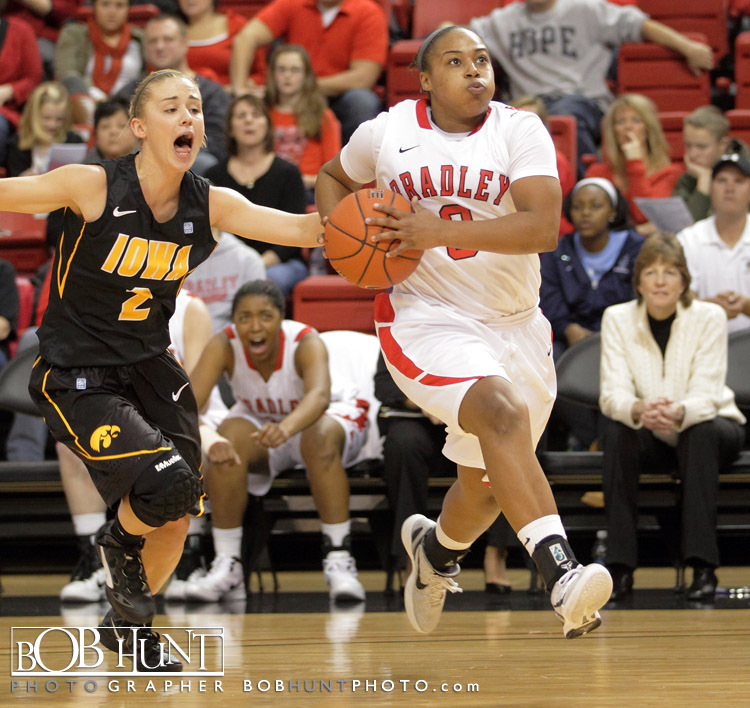 Bradley (8-3 overall) finished one three-pointer short of tying a school record for triples, knocking down 13-of-22 attempts (59.1 percent) from beyond the arc and outrebounded Iowa (6-5 overall) 37-32 in BU’s first home game against a Big Ten Conference opponent other than Illinois since beating Minnesota 56-49 at Robertson Memorial Field House on Dec. 3, 2000. 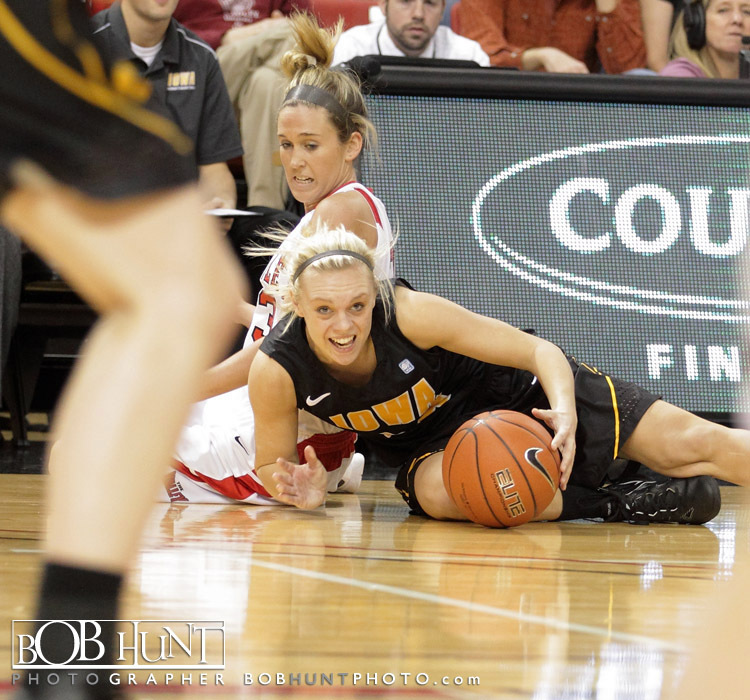 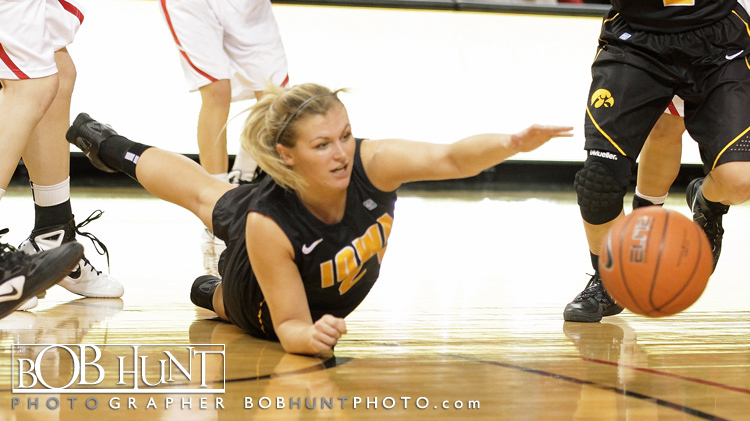 Morgan Johnson scored a Renaissance Coliseum record 37 points to lead the Hawkeyes, making 11-of-12 free throw attempts. 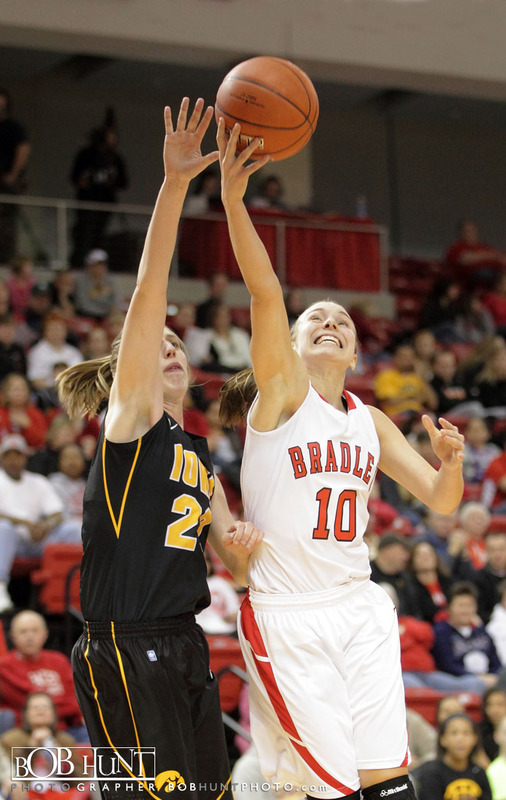 Kamille Wahlin added 18 points, but Bradley held Iowa’s leading scorer and 2010-11 honorable mention All-American Jaime Printy to seven points. 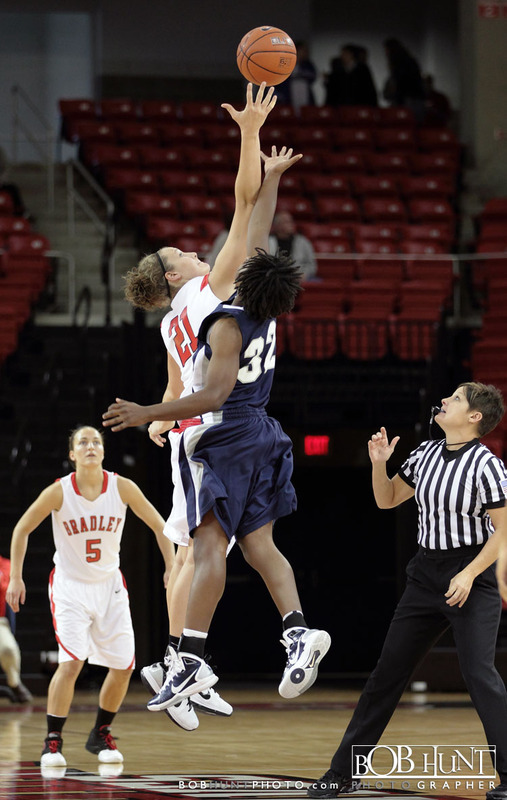 Printy came into the game averaging a team-best 17.9 points per game. 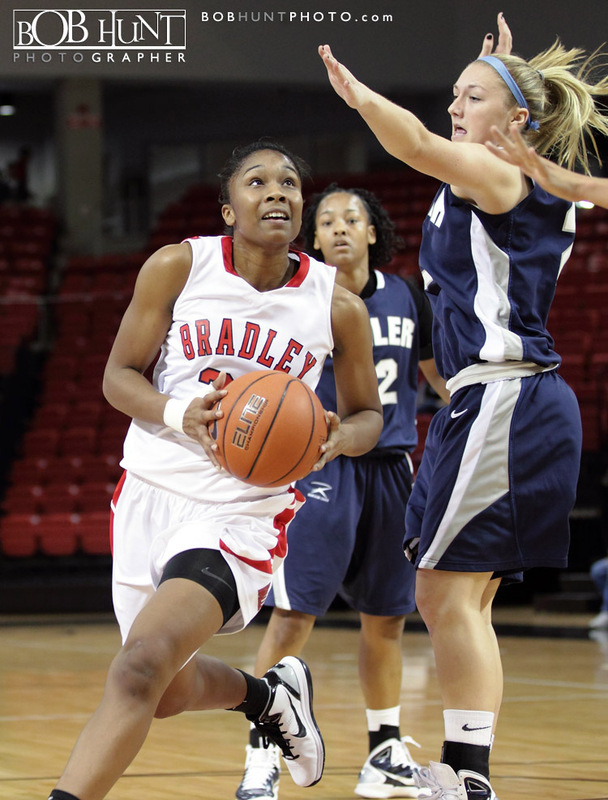 Freshman Shronda Butts scored 14 second-half points and finished with a season-high 18 points to help lead the Braves. 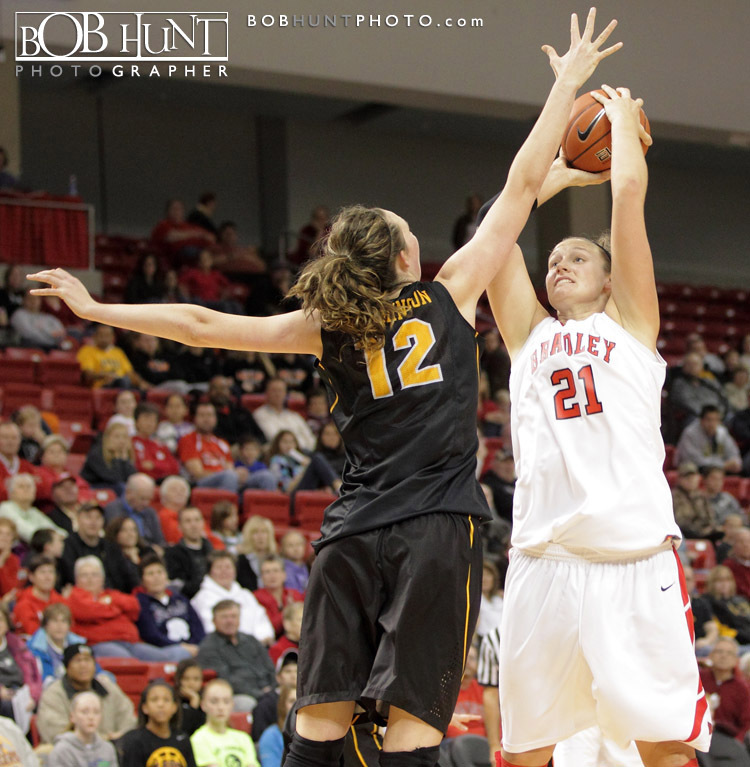 Sophomore Catie O’Leary added 14 points off the bench, helping the BU reserves outscore the Iowa bench 52-14. 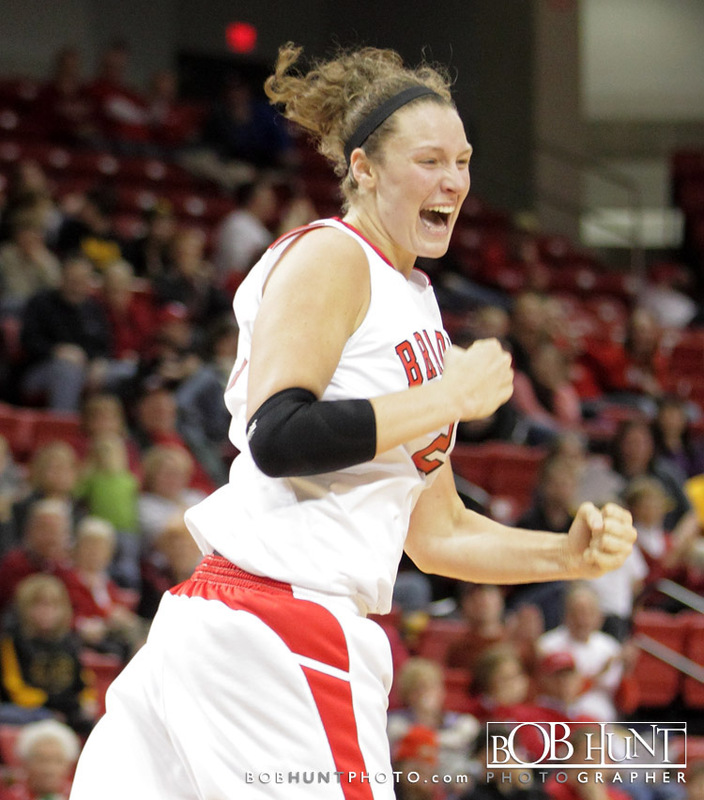 Katie Yohn had 13 points, seven boards and six assists and Leah Kassing collected her third double-double in the last four games with 10 points and 10 rebounds for the Braves. 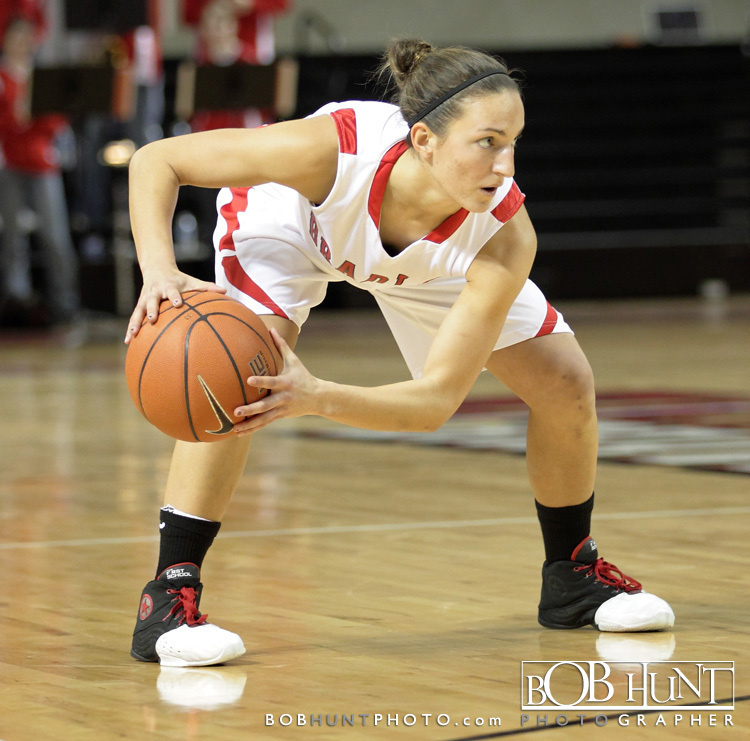 Bradley scored the first 11 points of the game and led by as many as 25 points in the second half en route to a 77-63 victory against Butler Saturday afternoon in the first regular-season contest at Renaissance Coliseum. 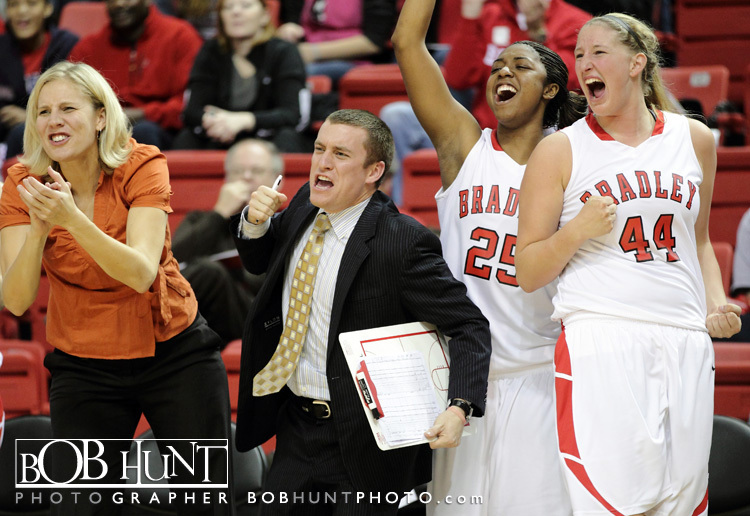 The game marked the Braves first on-campus regular-season game since Bradley closed out historic Robertson Memorial Field House‘s long run as the team’s home with a 79-63 win against Northern Iowa on March 8, 2008. 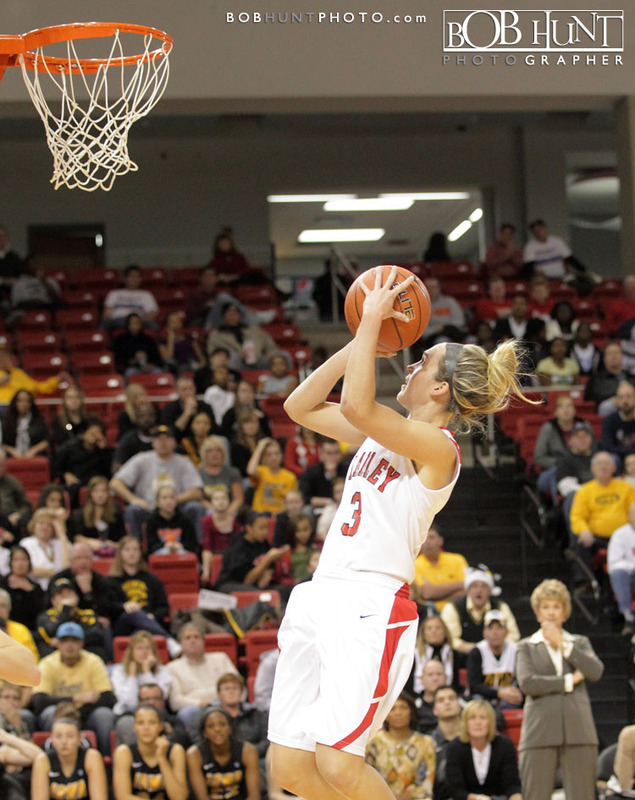 Bradley shot 51 percent from the field, which included a blistering 8-of-14 from three-point range (57.1 percent). 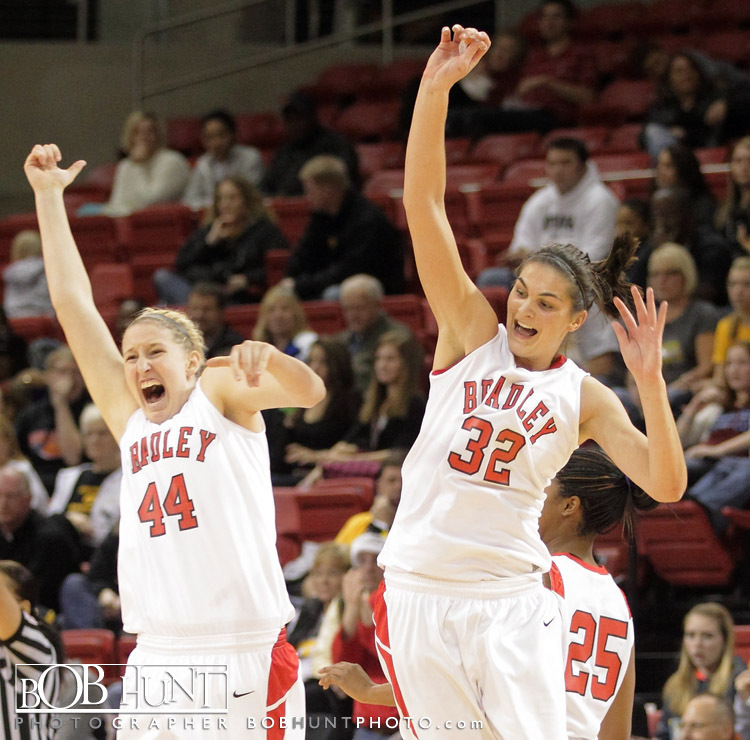 The Braves connected on 6-of-8 second-half three-pointers, but Butler scored 17 points in the second half off of Bradley turnovers and made 17-of-19 free throw attempts in the final 20 minutes. 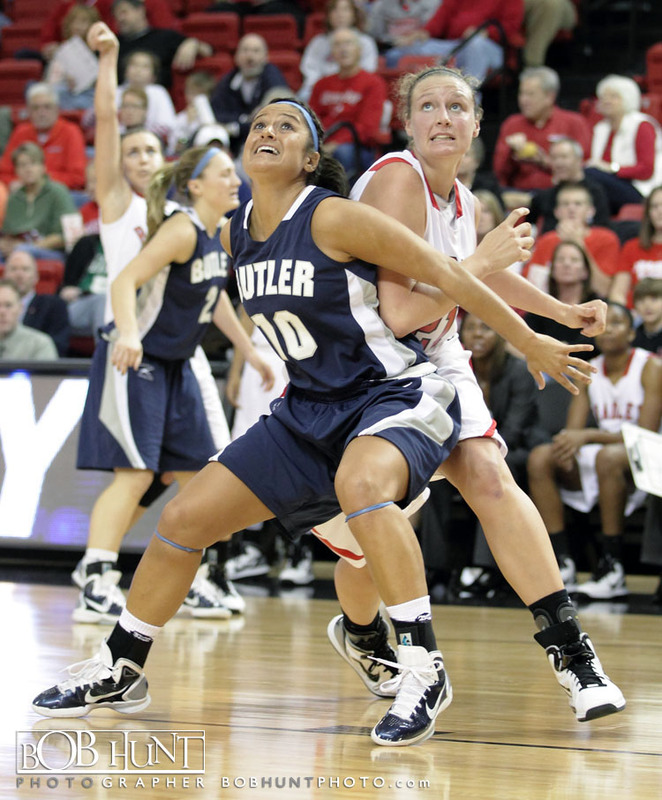 Bradley limited Butler to 28.1 percent shooting and the Bulldogs managed just nine second-chance points despite 19 Butler offensive rebounds. 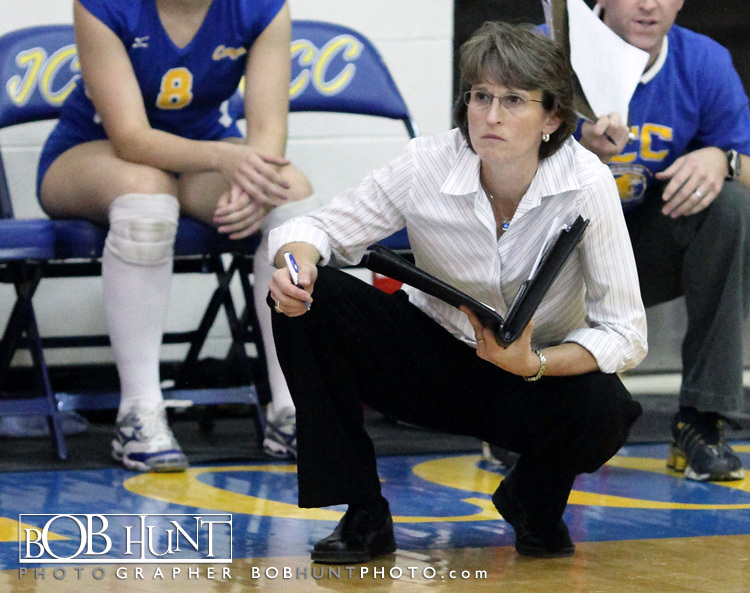 The eight-ranked Illinois Central College Cougars beat the No. 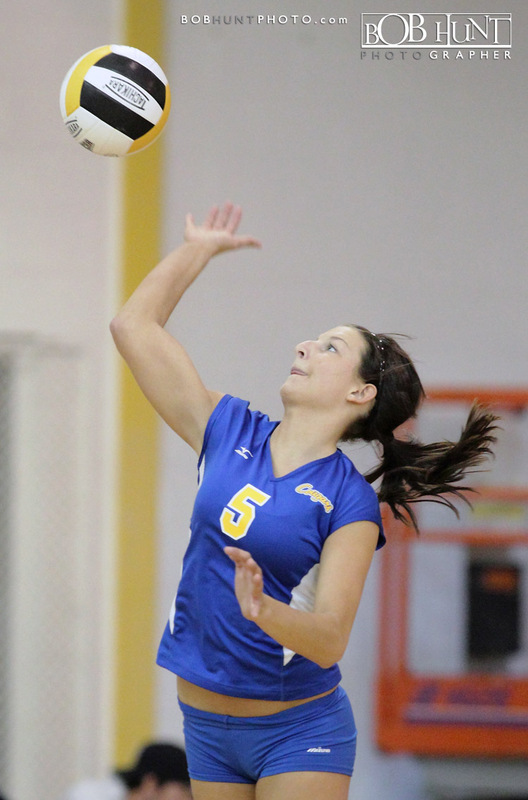 6 Parkland College Cobras in five sets – 24-26, 25-18, 25-14, 17-25, 15-13. 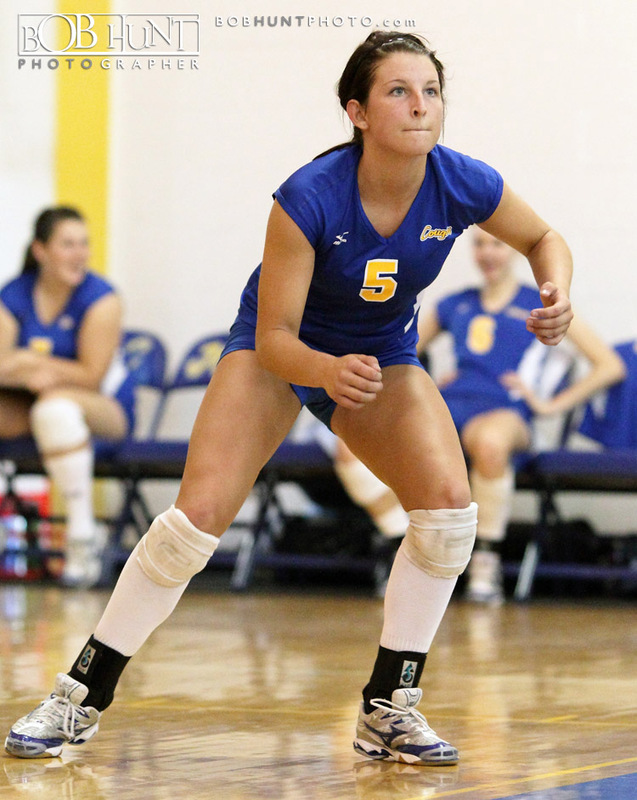 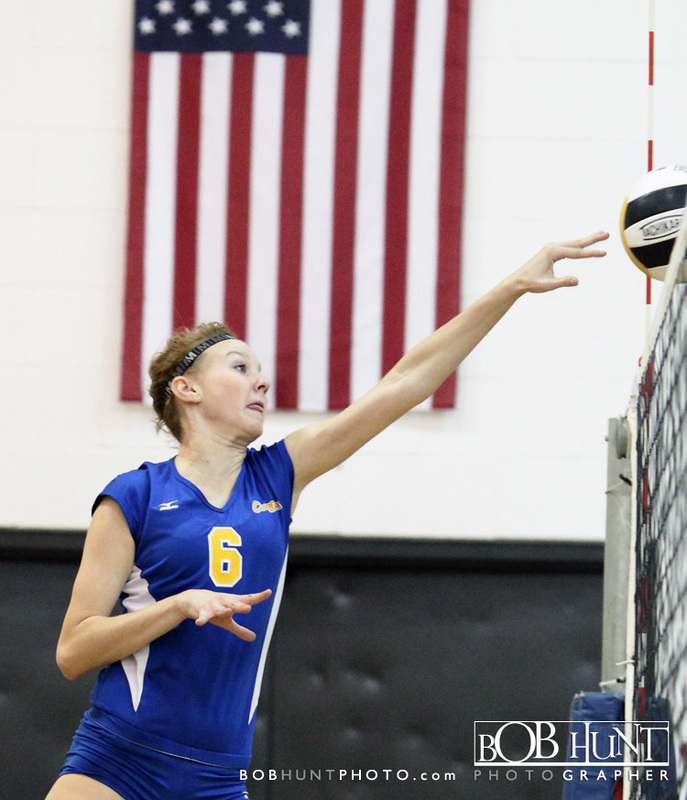 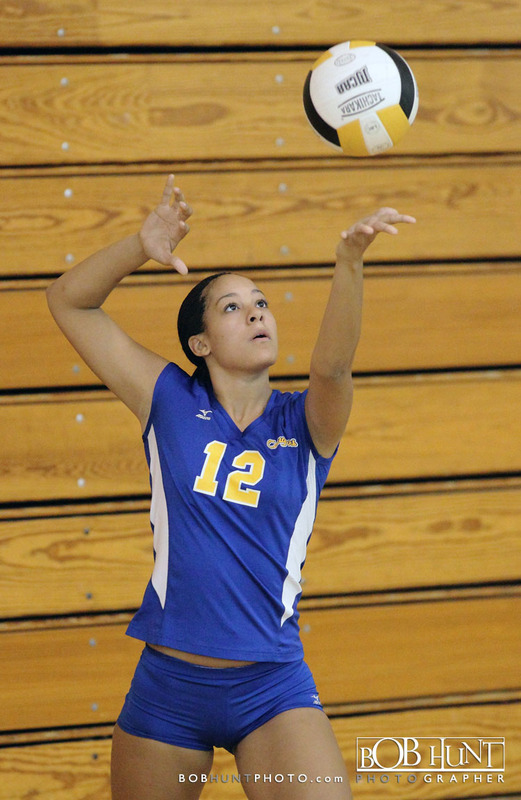 Lindsay Herman led ICC in kills for the match.